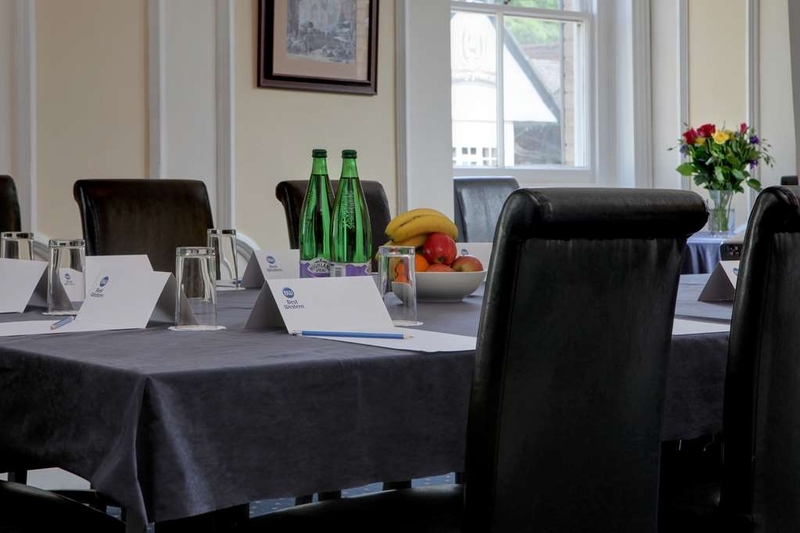 The Best Western Claydon Hotel is ideally located in the center of Ipswich. Come and experience our hotel near the major tourist attractions. Best price guaranteed and exclusive deals. Convenience in a country house! Space in stylish surroundings! 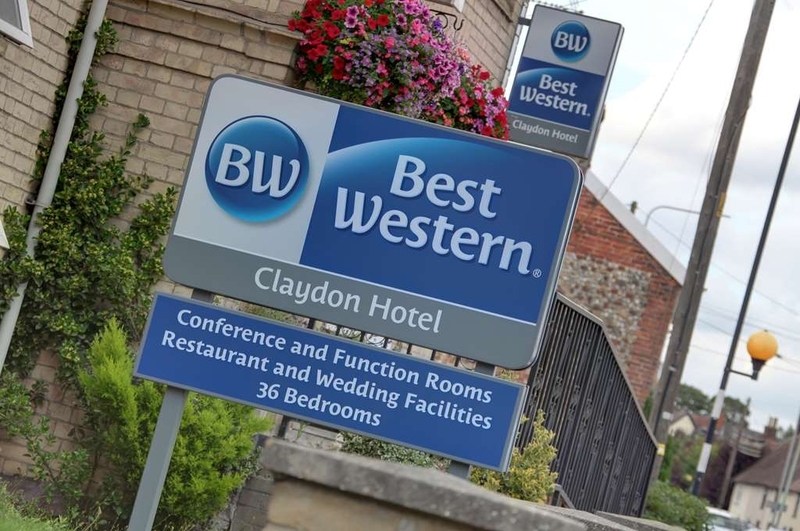 Best Western® Claydon Hotel offers guests a double whammy of reasons to visit! 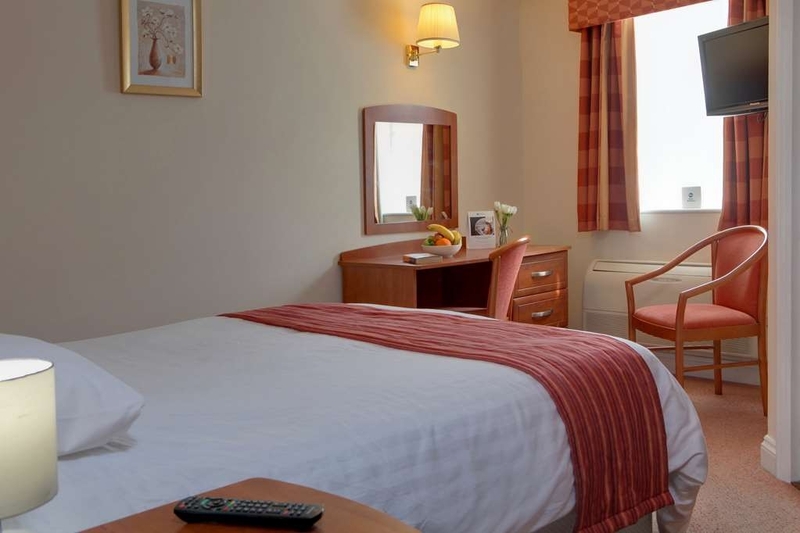 Ideally located near Ipswich, situated just off the A14 and only five miles to the north west of the town centre, we pride ourselves on perfection, striving to make you as comfortable as possible throughout your stay. 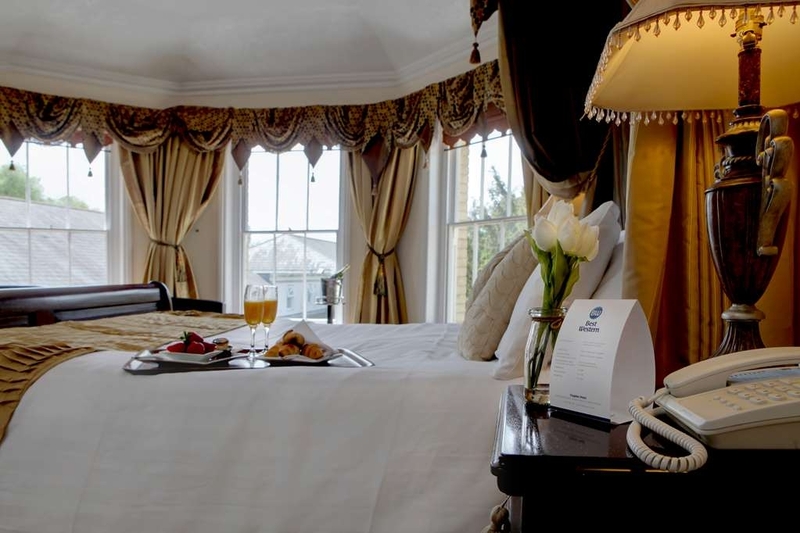 We are never satisfied until you are, so make yourself at home in one of our 36 air conditioned bedrooms, tuck into tastiness in our first class Victorian restaurant and let your cares drift away in our delightful gardens or relaxing lounge bar. 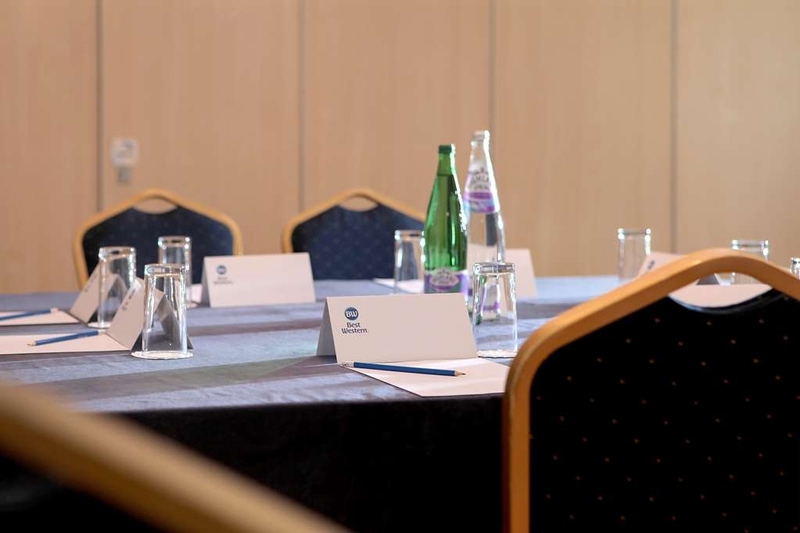 Wherever you decide to de-stress, we'll be on hand to meet your needs without intruding on your peace and quiet (or your business meeting! Enjoy your stay. "More accessible rooms needed at Best Western Hotels"
Lovely clean hotel, staff polite, friendly and helpful, not wheelchair friendly too many steps. Only 1 accessible room which is the other end of hotel and restaurant the other with steps in between with a stair lift. We stayed here after travelling down from liverpool for a funeral, the hotel was perfect for what we needed. Nice pub accross the road for the evening and a lovely breakfast in the hotel in the morning. Rooms were clean and comfortable but what really made this hotel stand out was the staff. They were exceptionally polite and friendly and it made our stay enjoyable. Lovely friendly hotel with very easy access for A14. Good facilities and standard of rooms for my stays. All of the staff are friendly and helpful. The food in the restaurant is very good and the breakfast is excellent. Supper beer in the bar too. Arrh..... Music to our ears, on behalf of our entire team, thank you for your business and review, we l look forward to hopefully accommodating you again in the further, many thanks. "Good Hotel and good staff"
"Flying visit very pleasant. " We stayed one night at this local hotel. The hotel is well maintained and in good order, with ample free parking. Checking was swift and no hassle. Our room was pleasant, the bed and pillows very comfortable. We didn't have a meal or breakfast but where offered both. Overall a good nights stay. "Great place to stay when visiting Ipswich / Colchester / Bury St Edmunds"
Good value for money with nice freshly cooked breakfast which is served hot! Rooms vary so I suggest taking to the reception staff as they will be able to suggest the best room for you - double bed was much comfier than single, bath in one room but shower wasn't very good in that room - shower cubicle in double room was great. Detached hairdryer was much better than fixed - little things but staff are great and very helpful so ask. Well after being woken at stupid o'clock by some earthquake snorer who just didn't let up (room directly below), the night porter changed my room. Unfortunately I left my tablet in the original room and didn't realize until the hotel rang me 200 miles away. Unbelievable, the hotel packaged it up and sent it to me withnext day delivery. Just could not fault that service. With regards to the room, clean, modern and comfortable. Location to Ipswich, ok. Breakfast was fantastic. Overall, fantastic hotel spoil by some person with a serious snoring problem which was not the hotel's fault. Excellent hotel, nothing to much trouble for any of the staff, very friendly and welcoming. Very clean and comfortable bedroom, great shower and bathroom. Heating and air conditioning . Booked in again for next week. Highly recommended. 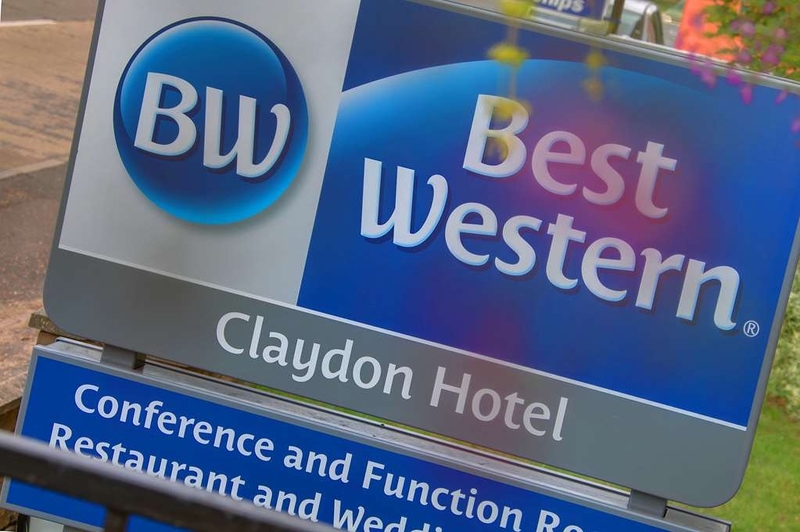 We spent two nights over Christmas at Best Western Claydon Hotel while visiting family in Claydon. We couldn't fault any aspect of our stay. The staff were friendly, attentive and professional right from the moment we made the booking, to follow up emails, making restaurant reservations for our family lunch. The room is a good standard for a 3 star hotel, it was spotlessly clean, warm and the bathroom was modern with a decent shower. The mattress is a little hard but for the price and a 2 star hotel it was completely acceptable. We had Christmas lunch at the hotel with our family that live in the village and for the price it was extremely good quality and excellent value for money. The service was fantastic, everything was served piping hot and the portions were good. 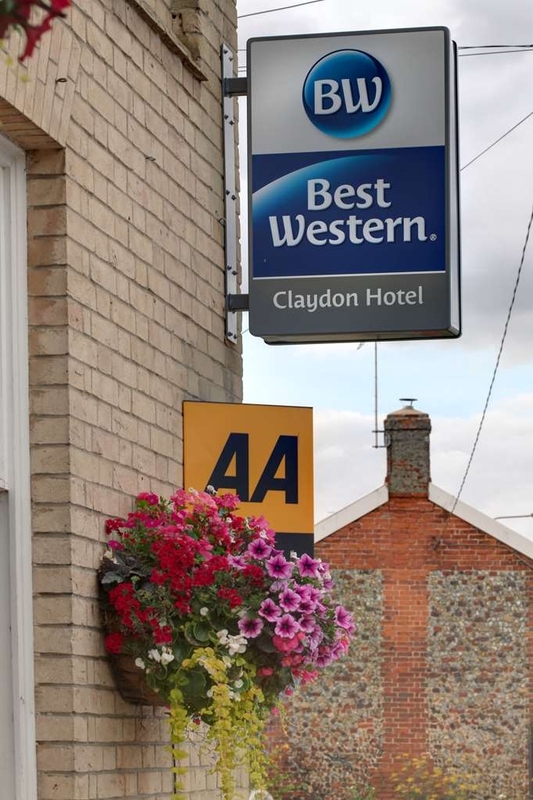 If you are visiting family, friends or staying in Claydon for business or a wedding party I would highly recommend booking the Best Western Claydon Hotel. 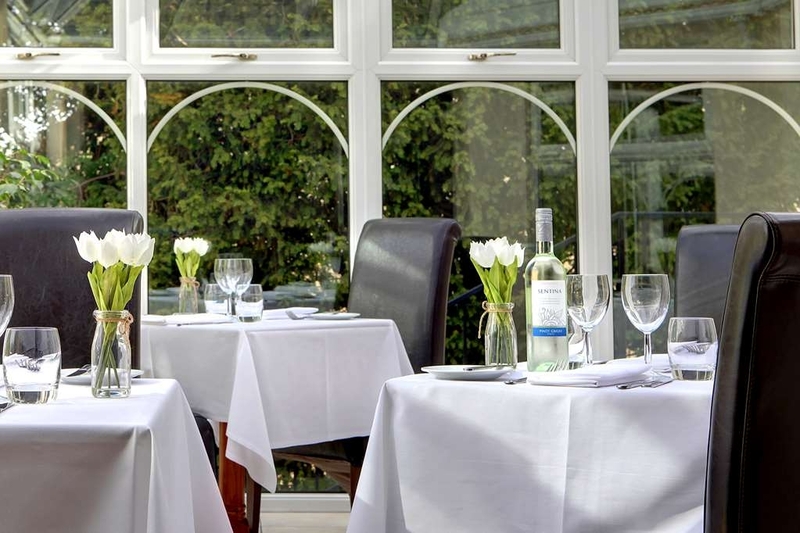 We chose Claydon House Hotel again for our anniversary lunch. Good choices on the special Christmas menu. The waitresses were very courteous and helpful. The food was fantastic! Recommend to eat any time. When we left they gave us a box of chocolates with their best wishes for our anniversary. We will be back again and again. "Great staff - very friendly - nothing was too much trouble"
Booked for a couple of nights - was visiting the Corn Exchange to see David O'Doherty and catching up with family. Room was clean, but cold until we worked out the radiators didn't work but that the A/C unit pumped out hot air too! Didn't have evening meals there but enjoyed the cooked breakfast. Happily they catered for gluten allergies and were still able to enjoy a fried slice with the bacon! Also had my Earl Grey and Red Bush teas. Refilled when requested and fresh milk in a jug rather than the pots of milk. Asked for big mugs too and they were sourced in a flash for a proper cuppa (needed hand warming after a long walk down the river from Needham Market!!) 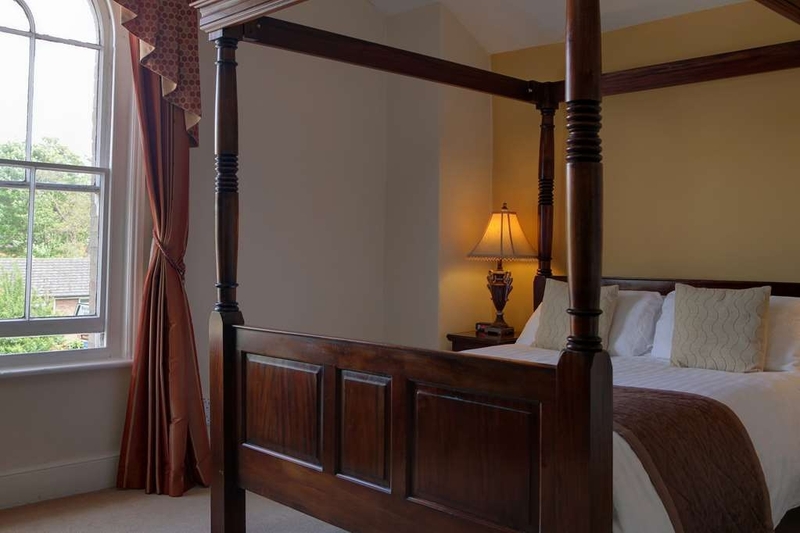 The staff were friendly and happy to do whatever was needed to make the stay more enjoyable. The only downside was the lack of tv reception on some channels. Ample car parking too, bus stop just outside if need be as well. Visited in October,with a group of 20 for 3 nights.Room was clean and well presented. The absolutely outstanding feature of this hotel is the food. We were expecting a reasonable standard of hotel type food each night,but were completely knocked off our feet at the quality and taste and presentation of all types of dishes that we all ate. Top marks to the Chef. "A very comfortable and quiet stay"
Hotel is very clean and quiet. Room had air conditioning, worked really well. Shower powerful and hot. Food was lovely and service really good. Check in easy and staff helpful. Breakfast was the best I've ever had in a hotel!!! This is a village location, there is a bus route that runs pretty frequently (at least on the hour I think) into the main Ipswich town, it runs opposite the hotel to the right. There is also a bus into neighbouring villages which have a main train line into London. I would recommend going to Stowmarket to do this rather than Ipswich as it is easier to get from the bus to the station. The bus drivers are friendly and will point you in the right direction (approx 7 minute walk). If you want a taxi make sure you either prepare for a little wait or book one in preparation as they have to come from neighbouring town/village and take around 10 - 20 minutes to arrive if they have cabs available. The pub across the road does standard fayre pub grub - not really my cup of tea but I do know it is popular so be prepared for a wait, people I met in the pub there had to wait over an hour from queuing to book to food on the table.Thoroughly recommend this hotel. I stayed in room 222. We would thoroughly recommend this hotel to all, if you are a couple or a party looking for a venue to have as a base for touring Suffolk. For the staff nothing was too much trouble, the accommodation was excellent ( particularly if you have 'picky' people in your party!) and the food provided was probably the best I have experienced. A huge thank you from 23 very satisfied people for making us so welcome and providing us with a truly memorable weekend. "Food amazing - rooms not so good"
We stayed here as part of a large group for 3 nights including breakfast and a three course meal each evening. 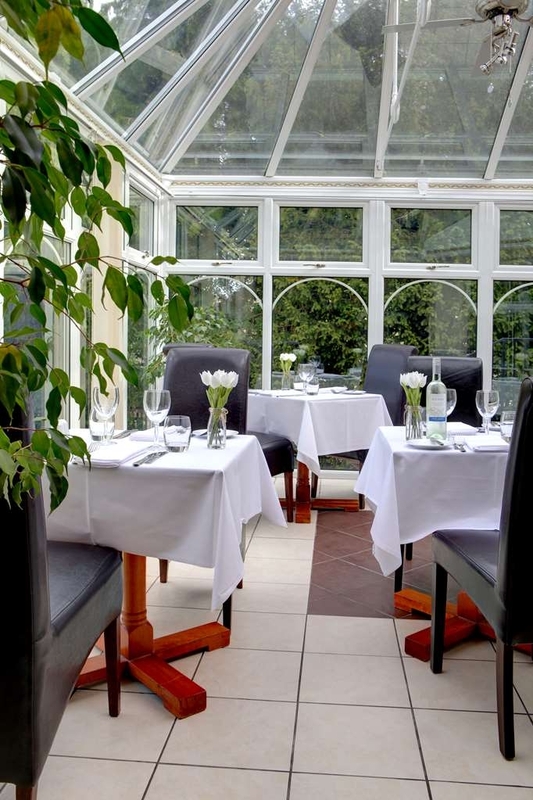 The food was exceptional- absolutely delicious and the staff were lovely. Such a pity about the rooms though - the first night we had a large comfy bed and tiny en-suite - but the room was right on the road and so noisy so we asked to be moved - the second room was tiny and dark with a small uncomfortable bed but at least it was quieter! Broken glass in the bathroom window and generally all a bit tired and in need of some serious TLC. Such a shame when the staff and food are so good - get your act together Best Western! Great place to lay your head for a short visit. Clean and tidy, right opposite a pub for good beer and reasonable grub. We only stayed for one night but would do it again if needs be. Nice town too. Pretty and relatively quiet. "What a difference a day makes part 1"
Staff helpful carried our cases to second floor as no lifts. Awful room noise from kitchen fans told it would stop at 9pm, we were tired from journey so went out for meal in the pub across the road. We had to ask twice for fans to be switched off after 9pm it was intolerable, there was no water pressure in the bathroom, hard pushed to clean your teeth let alone take a shower and we did not sleep as noise from traffic all night kept us a wake. Plus when we went make a cup of tea the socket and wring was loose which we had to point out. Charlotte on reception was very helpful the next morning when we asked to move rooms, when we got back from a wedding. (Reason we had booked hotel as it was quite close) the cases had been moved downstairs into a room with running water and certainly quieter. At breakfast I had to point out that the croissants were hard. The staff were great but the whole hotel needs to be looked at to be updated. Stayed for two nights in a superior room (room 202) which looked onto the main road but due to air conditioning in the room and good windows, the noise was not a problem. Lovely big room with very comfortable bed, spotlessly clean and great power shower over the bath. Full English breakfast was huge and delicious and served by very smiley waitresses. Evening meal was amazing. All staff were really friendly especially the lovely lady on reception. Would recommend this small but perfect hotel for anyone seeking a peaceful break. "Friendly staff but hotel not great"
Hotel is run down from the outside and the inside doesn't get much better. Rooms are small and old fashioned, could do with updating. Shower kept cutting out whilst in use, grouting was dirty, hairdryer old and yellowing. Toe nail on bedroom floor and pubic hairs on floor in bathroom. Asked for cheese and ham toastie, simple order, yet the chef couldn't even get that right, it was not as the menu, wrong bread and no dressing. Large garden yet no seating areas to enjoy it. Restaurant had no atmosphere, only one table occupied. Staff expected to be receptionist, bar person and waitress, although they did this with a smile and a friendly attitude. This was the first hotel I have ever stayed in (and I stay in a lot) that I haven't asked for late check out, couldn't wait to leave, very disappointing. Have stayed at Best Western before and been ok but this one lets them down. Stayed for one night as was attending a wedding locally. First impressions of the hotel was that the outside was lovely - much smaller than I had expected. Nice little garden at the rear. Foyer was a little dated, but not unexpected. Seemed very clean. Nice little bar area next to reception. The room, however, was lovely! Clearly recently refurbished. Very comfortable king size bed. Great bathroom with walk in shower. Drink prices in bar very reasonable! We'd quite like to have taken dinner, but unfortunately they don't serve an evening mean until 7pm, which was too late, as we had to be elsewhere. The restaurant looked very nice and modern. Didn't take breakfast (even though it was included in the rate) as had to drive home early. All in all, a lovely base. Very clean with a friendly welcome and service. Bed had hairs in it. This might have been from the cleaner not sure but it diid not feel good. I did not like the shower as it would not stay in one position and flapped around all over the place. The soap in the shower is to high and should be bought down to reaching level. It was a small shower room and could have been redisgned for a shower only, it does not need a bath. Both door keys would not work and needed re programming and still would not work. You had to jiggle it around to work, eventually did. "Totally mislead by room description "
We booked the most expensive ‘queen room' specifically because it was detailed in the room description as having a bed of size 180-210cm wide. On arrival the bed was only 150 cm wide and there was no available alternative that could be offered to us. The duty manager was unhelpful and argumentative saying that the description was only a suggestion of what might be in the room, not what was actually available! As it is not possible for us to sleep in that small sized bed, we were unable to stay and had to drive back to Essex that night after the function that we were staying for thus ruining what should have been a very enjoyable evening. Am still awaiting a reply and full refund for goods not supplied as detailed. The worst hotel I have ever stayed in. We booked two nights only stayed one. A telephone box for a shower, as I was booked in as a disabled person, the hotel staff have no idea about disabled people or their requirements. Would have been better in a tent. Dear Mary, Thank you for your review I do apologies, for the issues you had to endure during your resent stay with us, unfortunately we are unable to find your details on our system; can you please get in touch with me as soon as possible so we can continue our investigations, many thanks. Kind regards – Frankie Manners - Operations Manager. Easy to access with plenty of parking. Arrived late but always someone on reception 24 hours. Free WiFi was strong and could stream videos/movies and everything else you could possibly need. Couldn't ask for more.! Good price, good breakfast, good room, good location for what we needed. Good big bed. Although we only live 10 miles away we wanted a drink at a family party up the road. The breakfast was very nice. "Not over the Top but enjoyable"
"Worst Best Western I have ever been to"
"Poor effort all round "
This Hotel is better than the last time I stayed around 3 years ago. It has improved in relation to some aspects. The bed was much more comfortable than last time. My room was warm, and if small, was easy to heat up. The Hotel still does not serve food till 7pm at night. The Pub opposite is a bit limited so is not a very good alternative. I would say the Hotel is O.K/good but I did think the new refurbishment a little strange in some respects. The Shower is really poorly designed and much too small. Keeping the old heavy dark wood furniture of ugly dressing table and cupboard in a newly painted room seems very odd when you could re-design with a built in lighter coloured wardrobe and desk unit which would be more practical and aid the room from feeling so small and missing a desk. I advise, if like me, keeping warm is vital, that you ring ahead and ask them to put the heat on in your room before you arrive because the rooms are not heated before arrival and take awhile to heat up. What a little gem this hotel is. Very clean, well equipped and nothing was too much trouble for the friendly and obliging staff. 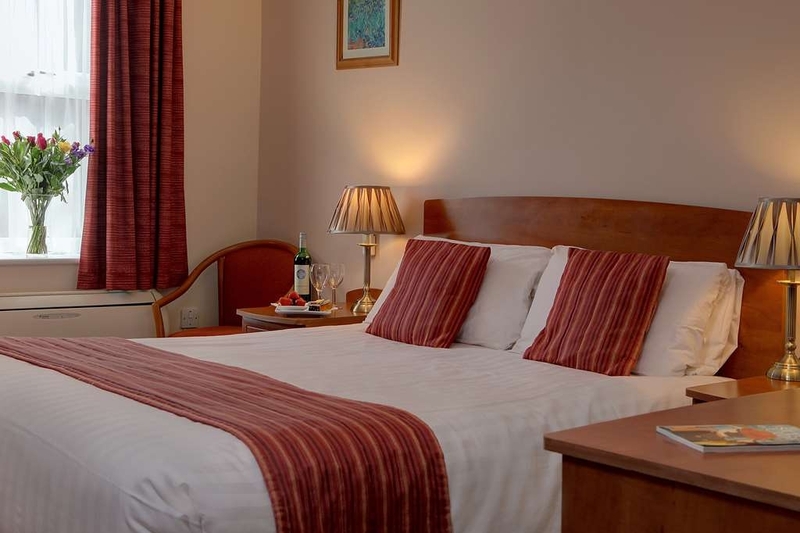 Our delux double room was very comfortable and having been recently refurbished everything was beautifully clean and fresh, especially the bathroom which had a superb power shower over the bath. Our even meal in the restaurant was excellent with the menu offering a good selection of dishes. The breakfast too also was excellent. The hotel is only a few minutes away from Ipswich and provides an excellent base if you are visit the area. 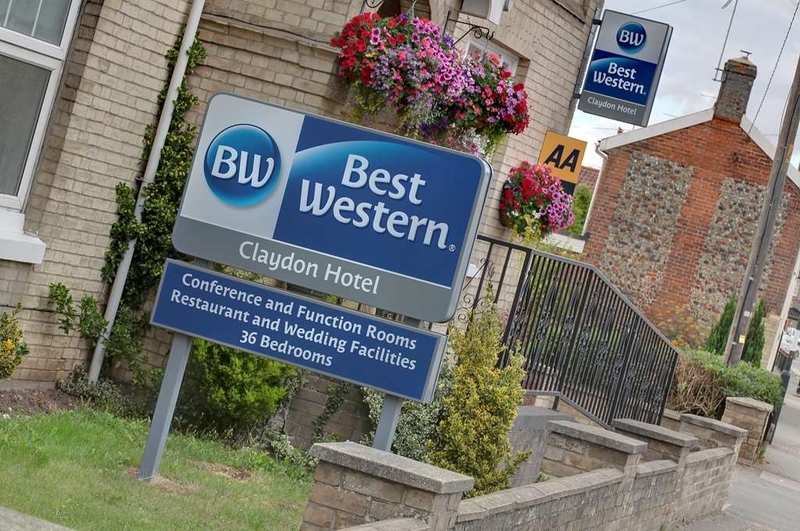 Overall I would not hesitate to recommend the Best Western Claydon and my only regret was our stay was for a single night. "Not sure about this one...!" We stayed at this hotel over the 2017 Christmas period from 24 - 27 Dec. When we arrived (Christmas Eve) the disabled alarm bell was going off and the poor member of staff (there were only 2 members of staff on duty that night!) was frantically trying to deal with that and the incoming guests (more people arrived as we waited for the problem to be sorted). Eventually we were given a room but as soon as we entered it, we didn't like it and so asked for another room which was bigger, which we were given. The new room, 207, was upstairs (there's no lift that we could see) and we were informed that it was one of their "newly refurbished" rooms so we thought it would be great to stay in there. It was only slightly bigger than the other room but we decided to accept it. Issues with the room: THE BATHROOM: the shower was just a dribble and not at all hot, the water was very cool even on the hottest temp; the bathroom door where the handle was there was a gap between the handle and the door that you could see right through from one room to the other, they clearly hadn't filled the gap properly; the plastic glasses that we were given, one of them was broken and didn't hold water (we didn't find this out until we were brushing our teeth and about to take our tablets! ); there was only one bath towel in the bathroom, we found the other one in the wardrobe in the bedroom! The toilet roll holder fell off the wall at least twice whilst we were there and my husband fixed it back on but it needs looking at. BEDROOM: All looked well at first but it wasn't long before we wanted to recharge our mobile phones only to find that there was only one plug in the room and it was in a very awkward and difficult place to get to. It was under the desk, in fact behind the desk. So we had to move the desk and go under it to get to the plug. Not nice and certainly not customer friendly. The desk cannot be used to sit at as you cannot get your knees under the desk whether you use the piano stool provided or the only other chair in the room. There is a very large mirror on the desk which gets in the way of using the desk to place your own items on and we had to manipulate and manhandle the mirror in order to create space on the desk. The room was dusty in various parts where dusting should have been carried out (e.g. the top of the bed). The wardrobe in the room was very large and when we opened it the door swung open and started to fall off its hinges. All the hinges were very poorly installed and throughout our stay the wardrobe doors would intermittently open. The magnetic holder inside was broken too which didn't help. The hangers were a disgrace. There were plastic flowers in the room which were awful. I don't know why these were there as they were not needed and a total waste of time. The floor boards creaked a lot especially by the window side of the bed and between the bathroom and bedroom. There were a few other silly things wrong with the room not worth mentioning however the hotel has to look at it's safety advice on the back of the door. The room map shows that you turn right when you leave the room in the event of a fire but when you leave the room the door on the LEFT says its a fire exit and as this is the nearest fire exit then you should be using that as an escape route. Before I left the hotel I gave them a long list of my complaints and the things I found wrong with the room but to date have not heard from them about it. THE GOOD THINGS ABOUT THIS HOTEL: the staff were very nice and friendly during our stay - we can't fault them. The food was also good. We had breakfast and Christmas dinner (which was very nice and filling). Great car parking facility, easy to get in and out. If you are staying in this hotel it's about 15 minutes away from Ipswich. 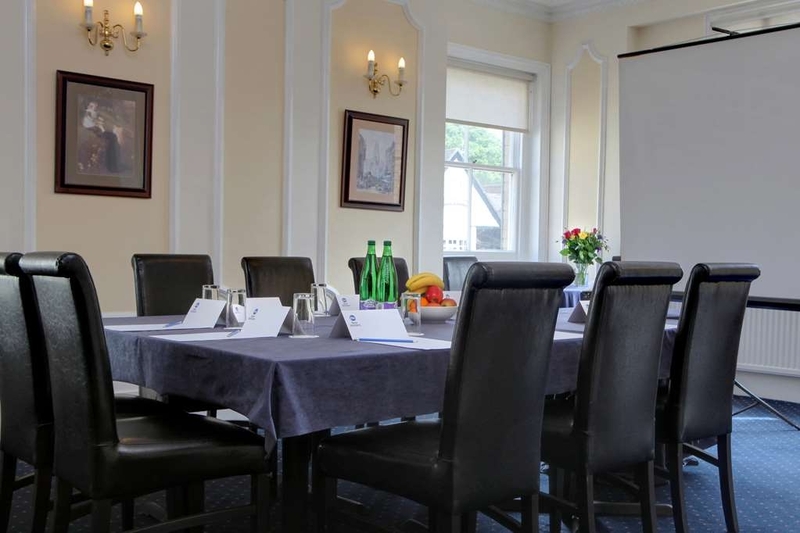 "Great Staff, Great Food "
A short notice booking for a family event and it turned out to be a booking for four rooms -which were in the older part of the building. All the rooms had been recently refurbished. The comfortable bed was enormous - which made the room seem smaller, but was perfectly adequate for a two night stay. The ensuite had wc and shower, again newly refurbished and the only problem we encountered as low water pressure in the shower. I raised this with the Reception and they assured me this was being address with the installation of pumps. I understand the mains supply pipes have been changed leading to the pressure problems. There as free parking and free, fast wifi. Location is very near to Ipswich, but the rooms were very quiet leading to a good nights sleep. We didn't eat at the hotel, but would be very happy to stay here again. The food was good, I had fig and sarrano ham, turkey Christmas dinner with vegetables and cheese and biscuits. I don't understand why you get 3 pieces of cheese and one biscuit, surely you need at the least 2 if not more. "Comfortable room, very nice staff, basic facilities"
We received a lovely, friendly greeting on arrival and were directed to our room. It was freezing because, for energy-saving reasons, you can't have the heat on until you get there. That's quite a good thing, but it was awkward to work and rather slow. The room was very small but comfortable. The bathroom was extremely basic - a container of generic soapy stuff was screwed to the wall behind the shower screen so, when we'd just arrived, and again before we left, when I wanted to wash my hands, there was no soap. I really didn't like that. Breakfast was very good with lots of choices and, again, the staff were lovely. Good value for money. "Small Room & Lumpy Bed"
This hotel would do for a one-night stay, but would not be suitable for a longer break. Our room was extremely small and also the bathroom. The bed was lumpy and very creaky. As said earlier there is ample parking and we were not aware of any noise from the A14, although as it was winter the window was closed. However, the staff are very friendly and the breakfast was very good. 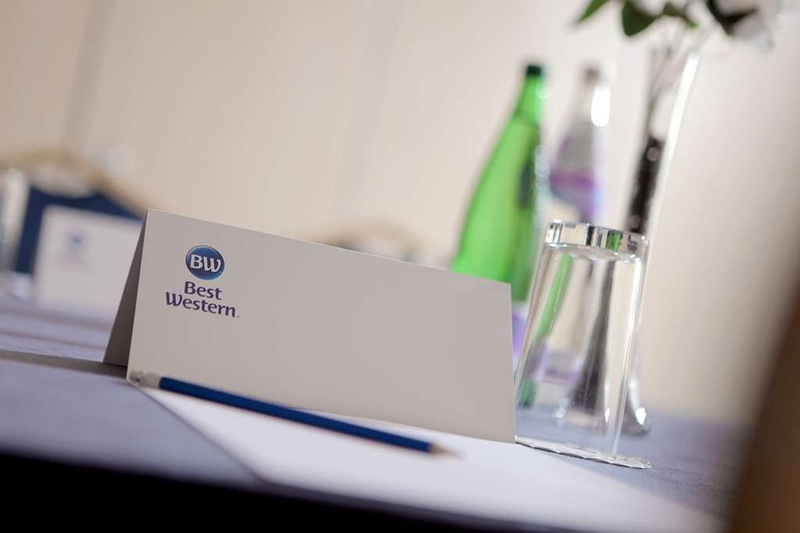 Having travelled extensively and often used Best Western I have learned that all things vary and hotels are no exception. My wife and I stayed here for a weekend break and shared a standard double room. Downside, if it was one, the extremely comfortable bed was so large it almost filled the room. Great nights sleep. There was also no room for any chairs and there were no bedside lamps. So much for the negatives. 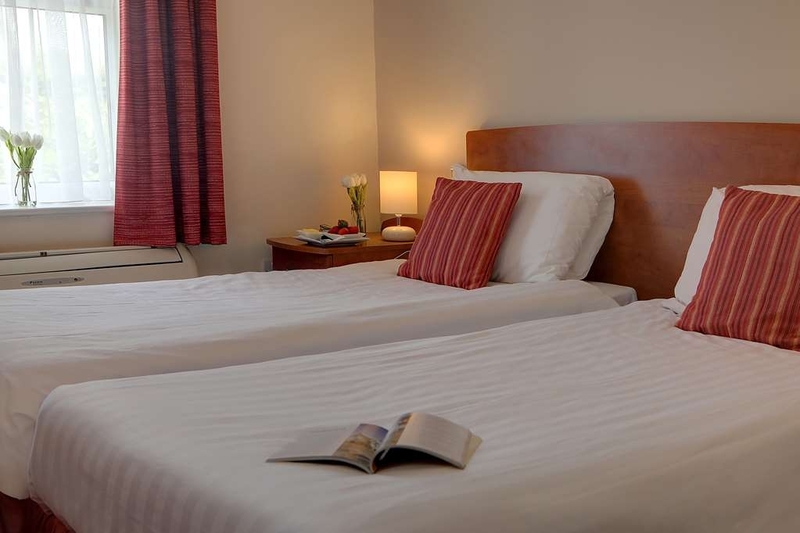 Positives, it was certainly the cleanest and best maintained room we have used in any short stay hotel. I can't praise it highly enough for that 'brand new' feeling. Not a spec of dust or a thread out of place. Decor, drapes and carpet as new. Bathroom tiling, fixtures and fittings the same. Must have first class housekeeping staff as well as top rate supervision. It felt as if we were the very first to use the room. En suite was immaculate and comfortable with sparkling clean shower. All consumables replenished daily with tea, coffee, milk and biscuits. Staff and management were helpful, cheerful and friendly. 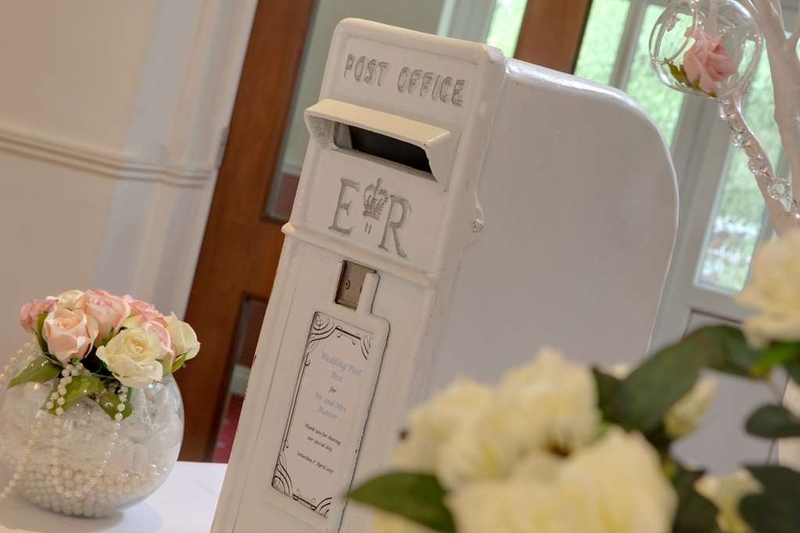 Sarah Jane on reception supplied us with local information, sat nav post codes and sorted the WiFi. 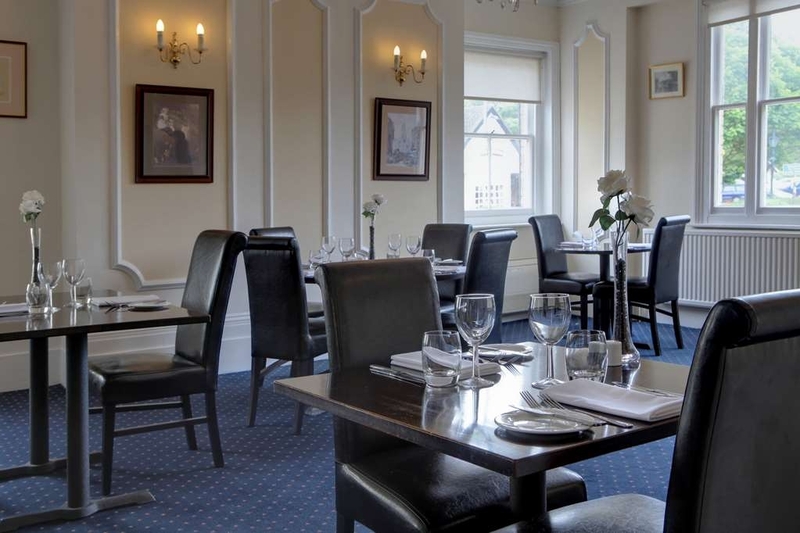 The bar menu is varied and caters for most tastes but we chose the 'Fine dining' menu in the restaurant. The food was well prepared, varied and delicious. All courses arrived promptly brought in by efficient and well trained staff. In the mornings breakfast in the restaurant area was brought in hot on request and there was a great variety of cold options along with hot toast and fruit. Dining room was well set out and comfortable with plenty of room. Outside there is adequate parking to the rear and easy access including ramp. Location is very good within easy reach of the town and main roads. All in all our experience there was far above average. Top marks to Frankie the manager who went well out of his way on every occasion to ensure our comfort and satisfaction. "A Hotel......a Vicarage or a Care Home?......It needs a Makeover soon!!" I stayed here recently on Business and agree with previous comments that it may call itself a country house hotel on the internet but it isn't, really. It's a short-stay, overnight kind of place suitable for businessmen and women and those needing somewhere to rest their head for one night if they're going to a wedding nearby. It's easier if I list the pros and cons, based on my experience: Pros: easy to get to, near the A14. Convenient for Ipswich, Stowmarket and Suffolk generally. Very friendly, welcoming staff who are happy to deal with any problems professionally and with courtesy. The food is of a pretty high standard: the buffet breakfast is excellent and you can tell it uses locally source produce and is really good quality. The hotel is very clean and tidy with plenty of freshly-painted surfaces and good carpeting. Free daily newspaper of your choice. Air-con throughout, including bedroom. Card entry to room. The cons: the hotel appears to be in a 'Timewarp' and by design and operation, and needs a makeover desperately, the decor outdated follows through into the bedrooms. There is even a 'Stannah Stair lift' from the Bar/Reception area to a lower area for access to the rooms, quaint but also gives it that 'dated and ageism' feel The bar area, which is next to reception, is small and not conducive to relaxation. The restaurant is situated in the original part of the house, with high ceilings, cornices and panelling. However, with its dark blue carpet and black tables and chairs the room feels dull and old-fashioned. In the rooms I stayed in, the bed was uncomfortable and the Air Con unit is right beneath the window and was poor in operation. In reality Best Western needs to give this place a 21st centre makeover. As a customer, if you need somewhere for one night, the Claydon Hotel is fine, but a longer stay could be tiresome. "Tired decor, lumpy matress, friendly staff, food ok, service slow." Would stay here again , it's good value, but the mattress in my room was terrible. I could feel the springs, it was very uncomfortable. Room small but adequate for one night. Food was good, but service slow. Friendly staff. Tired decor. Hotel was clean, parking was reasonable for size of hotel, reception staff where friendly, room wasn't as big as expected from photographs though of an adequate size. Bed was comfortable, room was quiet, hairdryer wasn't worth having in room. Stayed for two nights but only had breakfast on last morning, which turned out to be a mistake as it was well presented and of a good standard, with hindsight should have had it both days!! 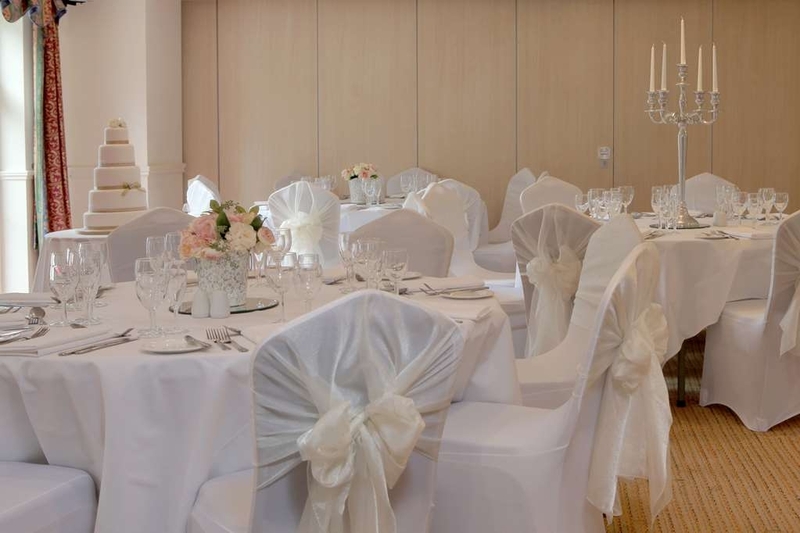 "A complete wedding package and they gave us and our guests a wonderful experience"
From the very first meeting to our fantastic wedding day, the whole team have been brilliant. 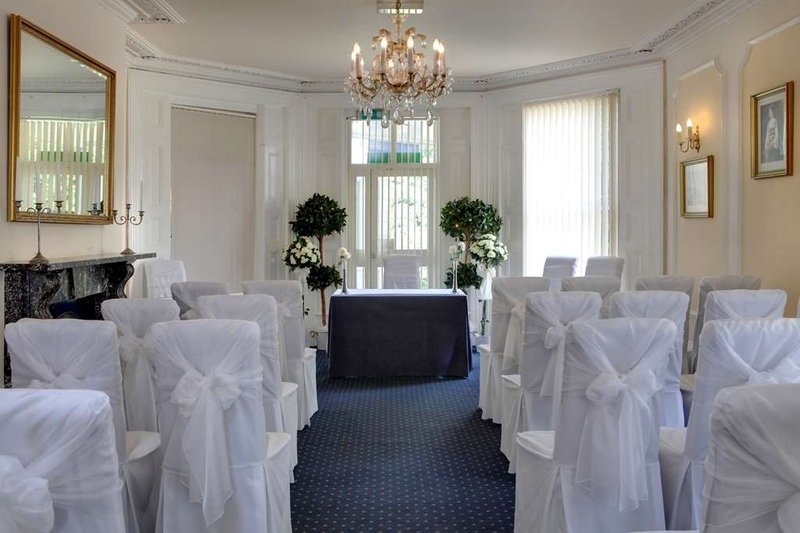 We had our ceremony, wedding breakfast and evening celebrations here. The food was stunning, a traditional roast beef dinner and apple pie for the breakfast and quality buffet for the evening. Friendly, knowledgeable staff throughout the entire experience, they couldn't have been more helpful to us or our guests. With 100 guests during the wedding and 12 rooms booked for the night, everyone has completed the staff, the venue and the food. So very very pleased with the Claydon Country House Hotel. Thank you. "A comfortable, quiet reasonably priced hotel"
The hotel is situated just off the busy A14 but is unbelievably quiet and peaceful. We had a room at the back (#114) which overlooks the overflow car park and we had a lovely night's sleep in a large, comfortable bed. The price was very reasonable and the room well furnished. The staff were extremely pleasant and friendly and the breakfast featured a very good selection of hot and cold foods. Being so near to junction 52 of the A14 it is very easy to get to and there is a large car park at the rear. Thank you for your comments, it was our pleasure to accommodate you, please look forward to a warm welcome upon your return. Many thanks. Yours sincerely Frankie Manners; Operations Manager. It's a while since I've used Best Western and I'm away alot on business. I have read previous reviews and maybe I was lucky. I had a good sized room, on the top floor away from the road which may be worth remembering. I could open the windows and there was air conditioning in the room. The staff were refreshingly friendly and cheerful. I ate in the restaurant both evenings - the fresh fish trio was perfectly cooked and well presented. I would definitely stay here again. Rooms small, cracked basin in bathroom, only one bedside light other person gets up for toilet in the dark, hair drier / kettle socket under dressing table hard to reach, stairs in my opinion dangerous. Advertised as full English breakfast, limited buffet only, with just scrambled eggs not offered boiled, fried or poached had to ask. Just grapefruit, hot dishes were not being replenished. no sausages, kitchen had to go shop for fresh supply. Rooms need noise insulation could hear talking through walls, and snoring! 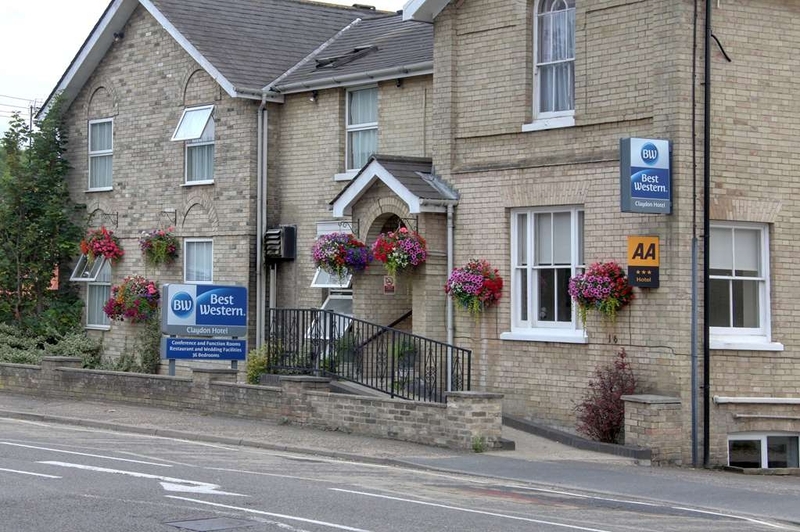 "Handy location for the main roads A14, A140 and A12"
Pleasant hotel, clean and with well-mannered staff. Large car park but with a difficult exit onto the road. We were lucky to have a room at the back with hardly any road noise. Although we stayed 3 nights, we didn't experience any food there. We found it impossible to access their pre-booked special rates on line and had to book through the head office. There is a well-stocked village shop / off licence and post office nearly opposite, with two pubs within walking distance too. At least one of the pubs does food most of the day. A reasonable hotel in Suffolk but the rooms are too hot to sleep cannot open windows due to road noise. The shower was very weak and went hot and cold when ever someone elsd turned a tap on. In my room the free wifi was non existent. The staff were pleasant though. "Great service, shame about the appearance"
Booked this hotel at the last minute as the reviews seemed OK. Sadly, it may call itself a country house hotel on the internet but it isn't, really. It's a short-stay, overnight kind of place suitable for businessmen and women and those needing somewhere to rest their head for one night if they're going to a wedding nearby. It's easier if I list the pros and cons, based on my experience: Pros: easy to get to, near the A14. Convenient for Ipswich and Suffolk generally. Very friendly, welcoming staff who are happy to deal with any problems professionally and with courtesy. We asked to change our room and they were very helpful and accommodating, especially considering we rejected one choice they offered. The food is of a pretty high standard: the buffet breakfast is excellent while the evening meal menu offers restaurant-style food that is nicely prepared and looks good on the plate. We didn't try the bar snacks but there was plenty on offer. A large car park provided plenty of parking spaces. The hotel is very clean and tidy with plenty of freshly-painted surfaces and good carpeting. Free daily newspaper of your choice. Air-con throughout, including bedroom. Card entry to room. The cons: the hotel appears to be very much stuck in a 1980s design time warp, with dado rails, contrasting wall colours everywhere (red and cream), matching red carpets, generic pictures and lampshades etc. This decor follows through into the bedrooms. The bar area, which is next to reception, is small and not conducive to relaxation. The restaurant is situated in the original part of the house, with high ceilings, cornices and panelling. However, with its dark blue carpet and black tables and chairs the room feels dull and old-fashioned. In the two rooms we stayed in, the beds were either lumpily uncomfortable or saggy and the quilt didn't fit over the edge of the bed, a real problem for a couple. Our bedroom was classed as deluxe but was in fact small, cramped and tired. The bathroom was fine, though. Public toilets are rather dated. In conclusion, Best Western needs to give this place a 21st centre makeover. As a customer, if you need somewhere for one night, the Claydon Hotel is fine, but a longer stay might tax your patience. Had our wedding reception here, would like to thank Frankie,Tracey & team for a wonderful day everything went so well from start to finish. The service and food through out the day was perfect and our guests couldn't agree more, a special thanks from Neil & Karen. Very helpful check in staff. I booked the wrong nights and they came to the rescue. Evening meals are always very good. It is a shame that more guests do not use the restaurant. Ideally located just outside Ipswich not far from major road links. I have stayed here several times before, so it is a credit to the staff that they always make you feel welcome. Best Western have their standards and this hotel exceeds them. The food is excellent and the staff are so helpful and friendly. Nothing is too much trouble and they always make you feel welcome. They think of things to make your stay more pleasant and then say "Would you like .... " A very pleasant place to stay when you spend half your life living in hotels! What should have been a nice 3 day break was a disaster. Best western hotels are supposed to have personality. This place had no personality whatsoever. We had a decent meal on the first night. The third night we thought we would eat in the restaurant again. What a disaster after a hour and 20 minutes we were presented with a plate of undercooked food. We both ordered rump of lamb. The plate was swimming with blood. After been left with no apologies for the delays being totally ignored for the duration we walked out of the restaurant and retired to our room. Went to bed Hungry. The bedroom was very small and cramped. As a diamond member of Best western hotels I thought some sort of effort could have been shown to make our stay more pleasurable. I can honestly say this is the worst hotel we have ever stayed in. I would certainly not recommend this hotel to anybody. We went for lunch for our 16th wedding anniversary with my mum and dad and we really enjoyed it. The staff were polite and accommodating and the food was A1 really have no complaints at all and can't praise the chef highly enough for putting on a wonderful food menu and making us jam sponges even though they were not on the menu - a BIG thank you from all of us, we hope to be back soon. had pleasant stay at best western country hotel claydon Ipswich. staff very attentive and polite. room was comfortable slept very well. nice gardens. food excellent varied menu. breakfast first class. nice and relaxing after a busy day at work. close enough for place's of interest. "Pleasant Room/Service, Internet not the best"
The good points: 1) Really friendly staff, a credit to the business 2) Nice compact room with a lovely warm shower and amenities (including custard creams!) 3) A decent work station with chair and a well lit room, with a HD TV mounted in the corner 4) Breakfast made to order, I had the poached eggs on toast with beans - it was served very promptly, it was very tasty. I especially liked the fresh orange on offer Just a couple of grumbles: 1) The internet coverage is pretty weak, which made it difficult to complete my days work on the night. It was typically 1 bar out of 5 and kept dropping off and reconnecting so was a bit of an inconvenience 2) The room (despite the air con) was roasting at times - even with the air con turned right down. 3) No bath (which is a personal choice, so let this slide if you're not bothered about it!) 4) The towels are very starchy! All in all though a good hotel, fix the internet coverage and I will be back again! Having booked Bed & Breakfast using Tesco Clubcard Vouchers we arrived to be told we had booked room only. Luckily I had printed the receipt to show B&B was what we had booked. NOT a great start... We were put into room 207. To say we were disappointed with the room would be an understatement!!!!!! You could write your name in the dust on the mirror on the dresser. The bed was 2 singles pushed together. The mattresses were appalling, the bed creaked with any movement... The bathroom was clean but had the worst shower I have ever come across!! The shower tray had a curtain round it but the water pressure was woefully poor more like a drip than a shower. This is without doubt the most disappointing BW hotel room we have encountered on our travels and not one to be repeated. "Run down, poor customer service, not VFM." Just returned from an overnight stay here, we booked and paid for a Deluxe Double Room, we were given a standard room, had to complain, other couple who travelled with us stayed were charged for drinks they did not have, neither issue was dealt with in the correct manner. Rooms are rather small, only one bath towel, taps did not turn off, breakfast was OK though, service without a smile, scrambled eggs in heated tray, we were not offered alternatives fried/poached. At £88/night for B&B is poor value. "Good location but noisy room"
Stayed for a couple of nights, the Saturday was fine, apart from the curtains in the room which are very light, but on the Sunday there was a birthday party on. Unfortunately, my room was directly above the function room so I heard everything which wasn't good as I was trying to get an early night. I ended up wandering downstairs and "gatecrashing" the party, on the premise that if you can't beat them, join them. Having said that, the couple whose party it was were very accommodating and made me welcome, so all was not lost, and the music stopped at exactly 11 PM, so not too late really. On a brighter not, the staff at this place are excellent, nothing too much trouble for them, and I will be staying again. "OK for a night's sleep - FLAKY WiFi!" Admittedly I was tired when I arrived but although my mobile hooked up quickly it kept dropping out, which was very frustrating! My laptop, usually excellent at registering on hotel WiFi, refused to make contact. The bar didn't look very inviting, fizzy beer only, so I gave up and went to sleep early. Next morning I chose not to have the £10 breakfast so Macdonald's down the road was was perfect for coffee and WiFi! Parking was excellent and the location was very convenient for the main roads. Staff were friendly and welcoming as in all BW hotels so it probably would be much better when things go well. Hotel in excellent village location, close to the A 14 trunk road, had a good rate having booked a winter saver price for a double deluxe room with breakfast, room and bathroom comfortable and very clean, a powerful and easily adjustable shower, good selection of TV channels, a good nights sleep was had, breakfast on the sunday was cooked fresh to order, on Monday was self-service buffet, nice, well cooked food, friendly staff, very large car park, plus overflow parking if needed, would I stay again ?.........most definitely ! Went for a Mother's Day lunch with the family. The service was very friendly and made sure we were comfortable. The food was a very good standard and reasonably priced! They had a special Mother's Day menu on offer. Would recommend and return. 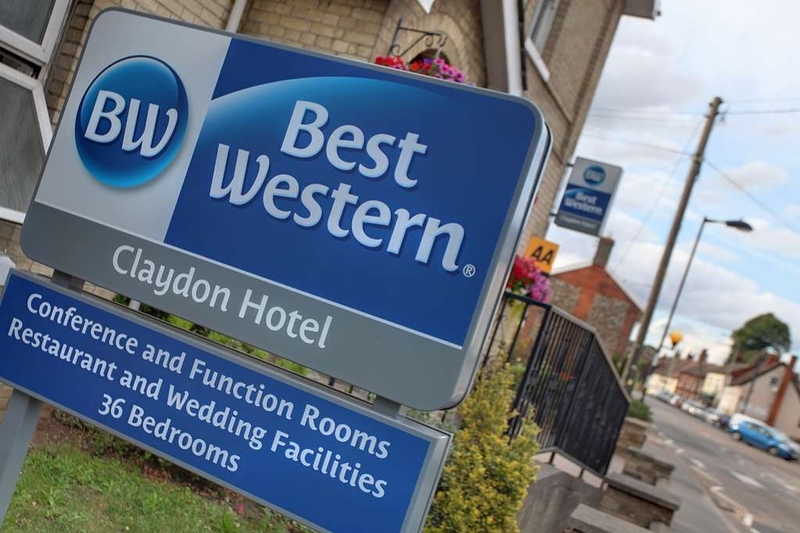 "Weekend away Friendly staff "
To celebrate our 21st Wedding anniversary we decided to book a weekend away at Best Western, Claydon. On arrival we Found the car park to be spacious, we were greeted by friendly staff at reception. We booked a breakfast for our first morning arriving near the end of the servicing period, there were no issues with staff being more than happy to help. The food was fantastic with a good selection on display. The stay was great and the only criticism we had was the bed, it was so uncomfortable. The room was tidy clean and up to date. Recommend the crown over the road, it's a hungry horse, the food there is great. This hotel although billed as in Ipswich it is miles away from the town. it is only a very small hotel and not disabled friendly as it accessed by steps. The bedroom we were allocated was incredibly old fashioned and shabby. The bar is part of the small reception area and manned part time by anyone passing!. The small restaurant is lovely, the Manager who served us was very nice and the dinner was excellent from a very varied menu. The breakfast was also very good but was grudgingly served by a sullen young lady who demonstrated that she really did not want to be there or to serve people. I did'nt get a great night sleep. The walls between rooms are way to thin!! Hearing the lady next door goto the loo and also hearing a guy snoring from somewhere else is not great. This place needs an update - it's very shabby. "Budget hotel which could do with updating. Friendly staff and a decent breakfast though." I stayed here midweek whilst travelling on business. Check in staff were friendly and helpful. I stayed in a downstairs double room (two single beds pushed together) the room itself was ok but maybe a little scruffy. The worst thing however is the old creaky floorboards and lack of sound insulation from the room upstairs. If you want an early night you better hope you don't get a room downstairs as you can here every movement from the room above..... Probably the worst hotel I have stayed in from that perspective. "Past its best Western "
Myself and a colleague stayed here for one night it was good value for money, really nice breakfast, friendly staff. The bathroom had fantastic water pressure, clean and tidy rooms a nice basic hotel. "Good staff but strange layout"
The reception staff are nice but the bar and lounge area are right by the desk so you hear all of the staff chatter and gossip. The bar is also in this area so it lacks atmosphere but the breakfast was good. We walked up to a pub called the Sorrel Horse (I think), it was quite a hike but worth it, the pub and food was good there. I visited on a Friday night with a party of four,and the first two courses were good but the sweets of bakewell tart were a let down they were as hard as a rock and did not resemble a bakewell tart.The manager offered his apologies from the chef,but the damage was done. Service could certainly be improved, the wine was plonked on the table not opened,and we were not asked if the wine met our approval,at the end of the evening we were not asked if we required coffee. The evening is advertised as fine dining ,but it certainly didnt have fine service. A crash course is required for the staff. We had never stayed at a Best Western and we would definitely stay there again. The staff are friendly, welcoming and helpful.The service at breakfast was good and the breakfast itself excellent. We especially liked the smart foyer and bar, and the conservatory. The room was fine and the bed comfortable with air conditioning which was a boon as there were record temperatures that week. Having Wi Fi for 2 devices was a bonus. We would like to suggest a mat to prevent slipping in the bath when showering and maybe a grab handle. Otherwise very satisfied with an enjoyable stay. Thanks to all who contributed. This is a lovely hotel and we have had a great stay. We booked the Queen Room which is gorgeous and has lots of space. Both the room and bathroom were clean and well presented. The bed is comfy and spacious. The breakfast in the morning was tasty. The staff here have been very welcoming and helpful especially Carmen on reception when we first arrived. If we are ever in the area again and need a hotel this is where we will stay. "Wonderful staff - shame about the building and decor"
Our first impression of the Claydon Country House Hotel was so disappointing, Tired and dated decor throughout - what a pity as the staff were so wonderful. They deserve a better environment in which to continue to provide their high standards of service. Every member of staff we came in contact with was helpful, friendly and keen to be of assistance, especially Tina on reception. We stayed for bed and breakfast and the food was very good. "Run down but good food"
I had booked a deluxe room and was absolutely convinced that the room I had been given could not be deluxe. Premier Inn has more creature comforts. Best Western Claydon does good food and the staff are all really nice. Enjoyable one night stay. Plenty of parking. Hotel room was very clean but the main reception area would benefit from an upgrade . 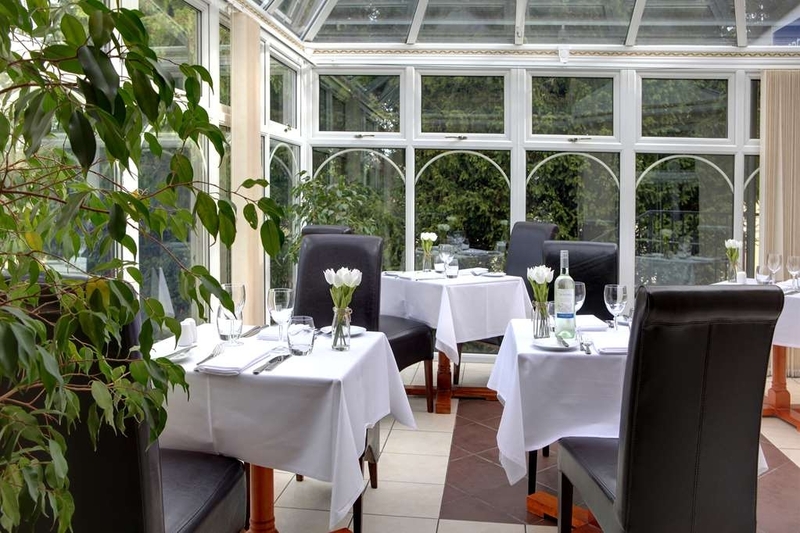 Our evening meal was excellent and we particularly liked eating in the conservatory. The breakfast was also of good quality. "Average rooms but outstanding food"
The hotel itself could do with a bit of modernisation but the food makes up for it. The quality and flavours were perfect and the staff are lovely. I returned here for a special occasion meal and I was impressed with the whole meal. The menu is small because everything is freshly made. I would recommended. The room was not serviced and no apology was received when mentioned at checkout. Totally unacceptable when paying £125 a night. The bed was uncomfortable and being on the front of the hotel the traffic noise in the morning was a bit loud. Continental breakfast choice was poor but cooked breakfast was ok. On the plus side the room was a good size and nice traditional furniture. Was totally ignored by the desk staff and had to wade my way through waiting staff in the lobby to get to the desk. Had to call reception 3 times before getting an answer on my room service being 45 mins late, then the food was tepid and not that nice. Very disappointed as always stay at Best Western hotels. Won't be visiting this one again!! "Cool Night on a hot day - service ok"
We booked a room with air conditioning which was a good thing as it was a rather warm day. Room was just about the right size with en-suite bath/shower, toilet and washbasin. View of overflow car park and garden. Arrived at 16:00 but could only get sandwiches for food- nothing else was available until after 19:00. A wedding reception was taking place but thankfully this ceased at 11:30 so quite quiet during the night. We were advised to get breakfast early but this turned out to be unnecessary as the wedding party were up later! Managed to do us some freshly poached eggs for breakfast so plus marks there - the rest of the serve yourself breakfast was so-so. It's not really set in the country despite its name as Claydon Village is all around the hotel which is right on the crossroads in the village. Very close to a fish and chip shop and a pub. So alternatives for meals were available. We didn't eat the evening meal at the hotel so cannot comment on that. We were disappointed that the entrance was up steps and then down again to the rooms. This should be mentioned on the booking site so customers are aware. Thankfully as it was warm the next day the side door was open so we were able to leave via the level exit. The bed was comfortable without being impressive and as we were supposed to be in a deluxe room, I would hate to see the size of a normal room. All in all, it was an OK place to stay without giving us anything to go wow about. It was functional and serviceable- that's all. The room for the night included breakfast in the cost so it was a reasonable deal. "A very poor experience "
First things first, this is NOT a Country House hotel. It is a hotel on a main road in a village near 2 pubs and a One Stop. The car park is congested with cars parked at all angles, the overflow car park is out the back past the bins and other discarded detritus. The 2 receptionists were friendly and efficient and check in was fine. The room was ok, clean and functional. I ate in the restaurant and the food and service was good. The salmon main course was advertised as poached - which it was, but there was no mention of the creamy sauce it came with. At about 10.30pm, all hell seemed to break loose when it sounded like 2 or 3 men were fighting in one of the other rooms. The walls are so thin it sounded like they were about to crash through. I think they were just drunk and falling over. However, as the hotel seems to cater for workers, it is very male dominant and I would think any lone female guests would feel intimidated. My wife travels a lot for work and I know she wouldn't be comfortable here. The mattress was poor and seemed to be very cheap - worse than a Travelodge! The shower was a mere dribble with the water temperature constantly switching between scalding hot and freezing cold. The breakfast was a buffet affair with tea and toast served to you. It was your typical 'Bain marie' hotel breakfast with rubbery scrambled egg and dry bacon. No option of baked beans or fried egg. Check out was fine. The over-arching lasting impression of this hotel though is the smell of fried food that permeates throughout. It smells like a 1980s Little Chef. This is in all areas of the hotel. At £90 for a night, I'm afraid I couldn't recommend it to anyone! I spend around 100 nights a year in hotels so I think I have some experience. I have a Best Western Diamond card also. We stayed here for 1 night. The pros - heated underfloor heating in the bathroom and free wifi...............The cons - totally disinterested staff, dull, old fashioned pokey room with a superb view of a wall and fence. The noisiest hotel I have ever stayed at - you can hear every movement from every room above and to the side. We booked 6 months in advance and paid £99 for which, despite my loyalty, we got no breakfast, not even a newspaper. Certainly the worst value hotel I have stayed in for years. I stayed in this hotel for 1 night whilst on a business trip that was off the beaten track (Debenham, Suffolk). The staff were extremely helpful and friendly - in fact, on arrival the receptionist seemed to know my name, which was a nice touch! Having not stayed in a Best Western before, I was not sure what to expect but the room was comfortable, clean and everything functioned! I even got biscuits which other hotels have seemed to have discarded of! A nice stop off to break your journey and very convenient, staff were all very helpful really could not find anything to criticise. In fact I left my phone charger behind and called back after our break and it was kindly returned to me so good service all round. Many thanks Best Western, at Claydon. many thanks for your feedback we are delighted you had a good stay and are reunited with your charger! Kind regards Heather Billing Operations Manager Claydon and the Gatehouse Hotels. Many of the reviews comment on the tired and out dated look of this establishment it was for that reason I decided to throw caution to the wind and pay the extra for a superior room. Trust me there is nothing superior about there rooms To be honest if it hadn't been given that title and the extra price tag I would not have minded so much. When I asked what made it superior I was told it was in the newer extension. It wasn't the quality of the furnishing or the finish of the room and certainly not the bed. I thought perhaps the double bed was made up of two singles pushed together from the noticeable dip in the middle . On closer inspection that wasn't the case it was just an old cheap bed that's collapsing in the centre The air conditioning was not working properly The 1970s furnishings had seen much better days. The cheap shower gel/hair shampoo in a single large bottle fixed to the wall wasn't to the normal best western standard and certainly nothing superior about it. I decided my back just wouldn't take the awful bed and was offered the only other available room a single. This room had lots in common with the other,but the bed did seem a little better perhaps that was because it was so small . The room was compact with a view of a brick wall. The electrics were frankly unsafe a kettle with an extension lead hanging down the side of the desk that could easily pull the kettle and its contents down. But to me the worst thing was the damp wall behind the curtains that brought on an asthmatic attack in the middle of the night. I have photographs of this and other disgraceful parts of theroom . I am frankly shocked that this standard is acceptable to the owners and to the Best Western brand . There needs to be some money spent on this hotel and until the owners do they need to remove the shameful misrepresentation in describing anything as superior as the best title would be basic . Starting with the good points, car parking, free wi-if, good service at reception (although found it strange we had to pay before we stayed! ), good breakfast, good service at breakfast (had to ask for toast), excellent shower, plenty of hot water. The bad....... The most important thing you want from a hotel is a decent room, a comfortable bed and pillows . This hotel did not provide any of those and I paid for an upgrade to superior room. If that's superior I would hate to stay in the standard. The bed, was TERRIBLE. The mattress was extremely uncomfortable and the pillows! Well I wouldn't put them in our dog basket for him to use! This hotel needs to either renew their beds or if money is tight put some memory foam toppers on the beds! Also need to chuck all pillows and pay a visit to Dunelm! This venue was home to a wedding reception I attended. I booked two rooms for my wife and I and our children. The rooms are quite small and a little dated but provide a sufficient resting place. We were situated in two rooms that were a little stretched for sunlight but never the less they were comfortable and functional. The staff here were very accommodating and the facilities were adequate. Breakfast was included and again was acceptable although it could have done with replenishment a little quicker. The quality of the produce was excellent unlike some of the other 'chain' hotels that provide a similar buffet style breakfast. 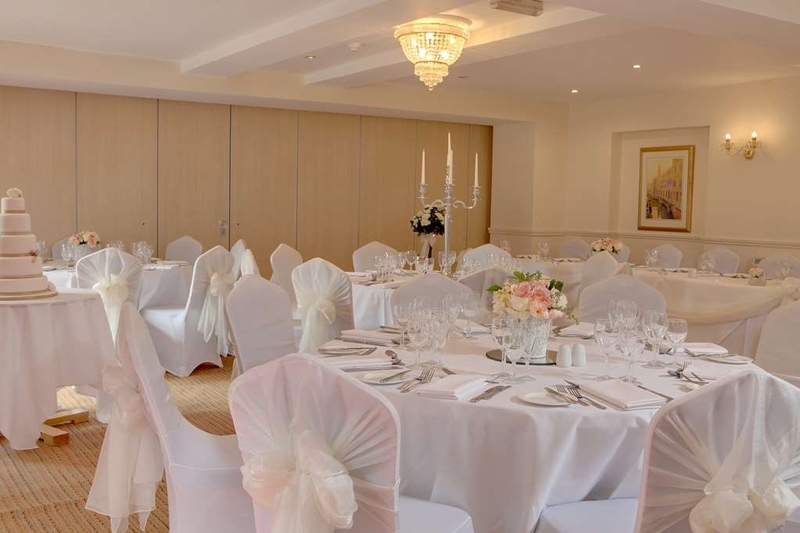 All in all a pleasant stay in a venue that probably doesn't get such a large influx of people in one go as a rule but they coped well and provided a competent and satisfactory service for a reasonable priceYou get what you pay for and here we got exactly that. Very happy with the whole experience and refreshing to find English staff that actually were happy to provide a service that is usually reserved for foreign staff in the hospitality industry. Stayed for 2 nights. Food is very good (and welcome after travelling from Scotland) Ensuite Room at the back in the new extension was adequate size, clean and modern. Car parking area was easily accessible. Breakfast was well worth it, huge quantity available and absolutely great. Evening menu is well balanced and food was delicious, well prepared, good quantity. Chef is the owner and it shows in the care with which the food is cooked and presented. This hotel is on the village main street close to the A road system outside Ipswich but still quiet enough to be country. It is a large old Victorian style house with a new wing with function room and a large rooms extension at the back. For a one night getaway to celebrate my brthday this hotel wasn't bad. On the positives: some of the staff were friendly and efficient at their job. The meal in the restaurant on Saturday night was delicious and it was good to hear that the menu is done daily and all fresh ingredients are used. The smells coming from the kitchen were great. On the downside; the double bed is actually 2 singles joined together meaning their is quite a big dip and ridge along the centre. If you want to actually get close to your partner, this is very uncomfortable to lay on. Also one of the beds was old and dipped quite heavily making it extremely uncomfortable to sleep on and my partner had a sore back the next day. The response from the reception was polite but totally disconnected-it was obvious at her lack of care about the issue. We did not get an apology at all. Having visited on numerous occasions before and always been totally satisfied, we were left very dissappointed on our last visit. Service was awful, slow, not enough staff present, Beef tough, couldn't cut it. Vegetables inedible. We believe the usual chef and experienced waiting staff were. not there that day and it definately showed. Handy location for the Ipswich area. Quiet on the second night, had a private restaurant experience to myself. Executive room is very nice. All of the staff were friendly and very professional. This will be a venue that I will stay in again when I am in the Suffolk area. The pub over the road is also a good place to be amongst locals. Not what I was expecting. Positives...not many but free parking is good and tv was reasonable. Negatives..rooms really need upgrading, furniture old, bed was hard, shower was ridiculous much like a trickle but even then you have to be a contortionist to get beneath the tiny flow of water without banging yourself on the rusty shower caddy or shower door. No radiator in bathroom just an old floor fan heater fitted to the wall...! Wifi is poor. Bedroom noise from other rooms is dreadful, you needn't set an alarm because you'll hear everyone else's as well as them showering, talking and walking along the creaky corridors. Glad to leave and I won't return. Outstanding service especially from the manager David, stayed here over 1 month, would not to hesitate to come back. The food is superb along side the complimentary prices. The staff are friendly and always willing to help! Rooms are of high quality. Just an all round great hotel! Thank you for taking the time to review the hotel and for your very positive feedback, we are delighted you enjoyed your time here and hope that you will return in the future. Kind regards Heather Billing Operations Manager - Claydon and Gatehouse Hotels. "Some of the best food in Suffolk"
I live in Claydon and have on several occasions visited the hotel restaurant. The food is the best in the area. Always well presented with a great taste. Prices are reasonable. The service is always good, Well worth a visit. Best to book in advance. "An ideal location for those needing accommodation near Ipswich." 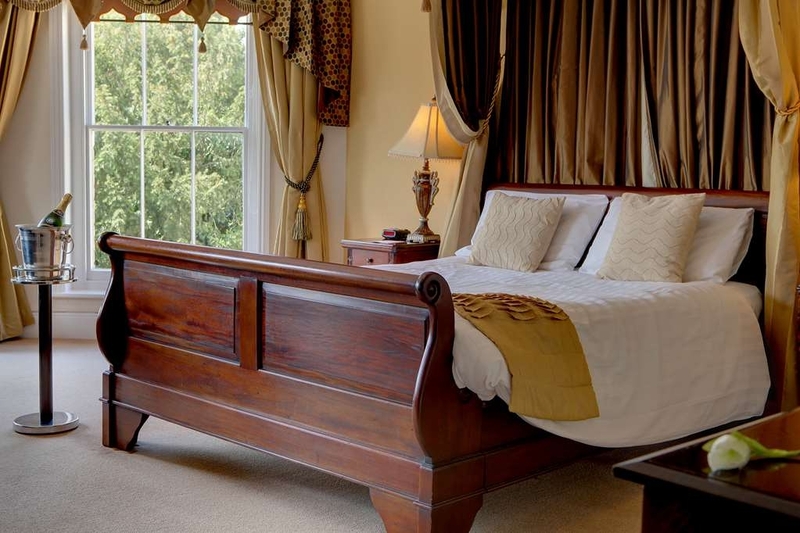 From the moment I chose to investigate the Claydon Country House Hotel and make a reservation to the moment I checked out after staying 2 nights, the staff were brilliant. 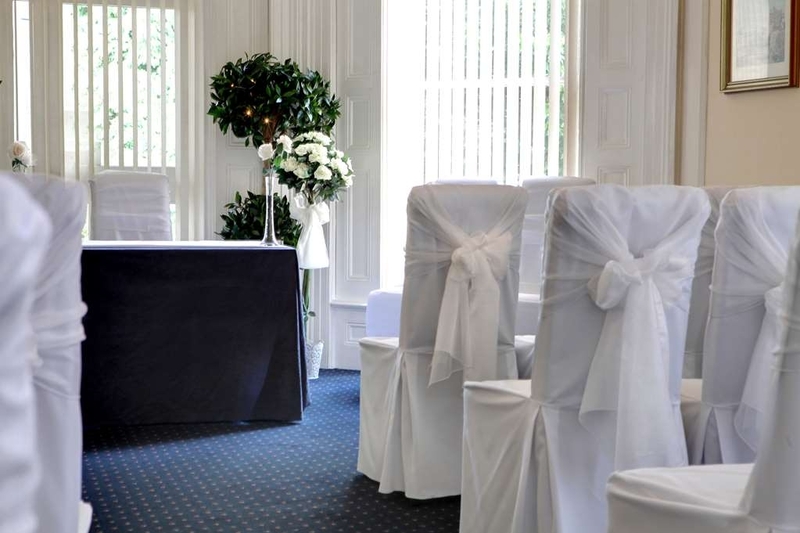 The reservation process was smooth, the reception staff friendly and professional. 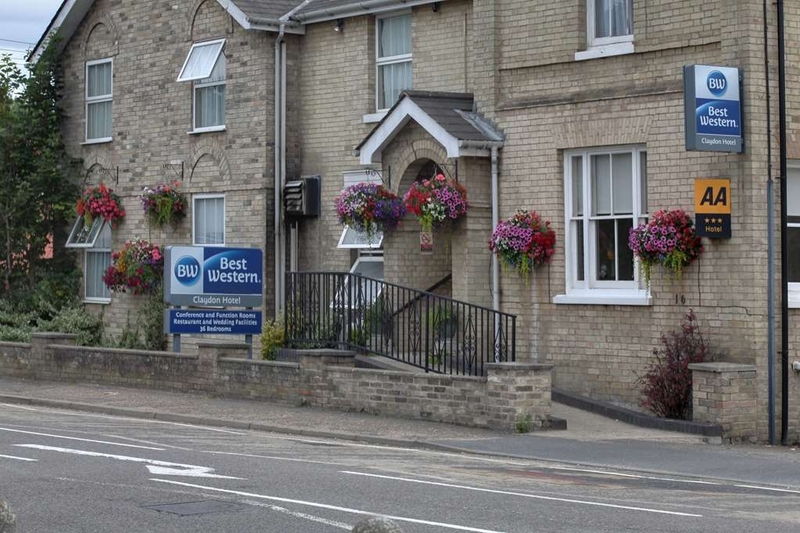 The hotel is situated close to the junction on the A14, and directions provided were accurate and easy to follow. Considering the fact that the hotel is situated close to a busy thoroughfare, there was surprisingly little noise in the bedrooms when the windows were shut. The hotel is comfortable, and great value for money. The accommodation is clean and comfortable, and the food superb. All in all, a great place to stay. Thank you. "Clean and very comfortable "
I stayed here for 2 nights on a work trip. Lovely hotel, spotlessly clean and very comfortable. The bed was huge! Only do was that we had to wait ages for breakfast and we were in a rush. However, breakfast was beautiful and cooked fresh! Would highly recommend! My first Christmas meal this year was at this hotel with my wife and 46 friends who either belong to the Bixley Ramblers or are friends of. 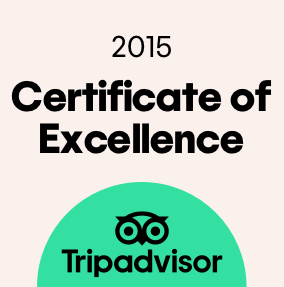 To a person all our meals were very good and the service excellent. The staff are very obliging and efficient. The food well presented,tasty and hot. We have eaten here before and will certainly return. "Clean and comfortable but in need of a makeover"
Thank you for leaving your review of the hotel. I am pleased that overall your stay was pleasant and that the team looked after you. Kind regards Heather Billing Operations Manager Claydon and Gatehouse Hotels. The hotel was well appointed, but with personality - it wasn't like some other hotels which are more like comfortable prison blocks. 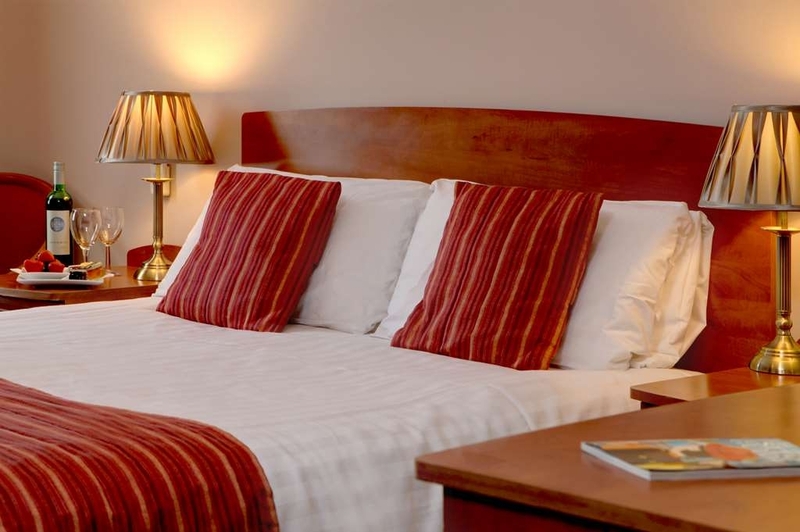 The staff were very helpful, the rooms clean and comfortable, and there were several nice pubs in the immediate area. All in all, a very nice place to stay. Thank you for taking the time to leave your comments about the hotel, we are so pleased you enjoyed your stay. Kind regards Heather Billing Operations Manager Claydon and Gatehouse Hotels. 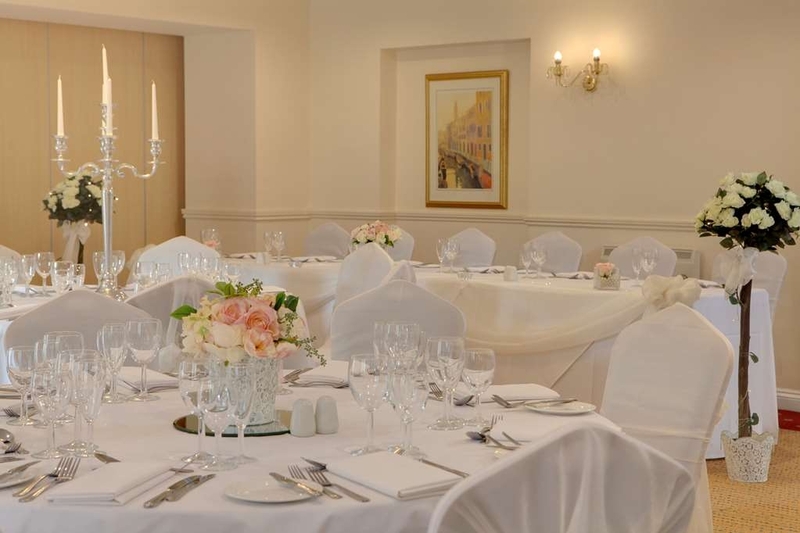 My friend and I were supposed to stay at The Best Western near Ipswich, had a phone call whilst on our way to say that there was a problem with the hotel, and we were being booked in at The Claydon Country house hotel . We asked what the problem was at the other hotel, we really got no answer, no one seemed to know. Enjoyed a lovely meal In the evening. Room was comfortable, breakfast really good. We returned from a day out and the manager on that day was very helpful, said he would find out what the problem was at the other hotel. He enquired straight away ,there was a problem with the heating in the room.He said was everything ok and could he get anything for us.So helpful, rather different from the previous day when we got no answers and no one seemed concerned, did not get his name sadly, but very much appreciated by us. Thank you for your feedback, I remember that you had to come to Claydon but at the time you checked in I had just come on shift and really did not know the details of why the move was necessary. I apologise if this did not come across as being satisfactory customer service. We aim to provide the highest standards of service and if this was lacking on this occasion, I am truly sorry. I am pleased that in general you had a good stay and hope that you would use our services again in the future. KInd regards Operations Manager - Claydon and Gatehouse Hotels. This is a good Best Western hotel, there are some areas that old do with a little maintainence, however the hotel is clean and comfortable. I was pleased that they have rooms for clients who are physically impaired. The breakfast was outstanding as was the food we had. In addition I would like to mention the following members of staff by name as they deserve praise for their courtesy and the service they provided without question for my wife and I. Thank you Kelsey, Tina, Sophie and Phil. Thank you for making our weekend so memorable. Thank you for taking the time to review the hotel and the lovely feedback you have given. we look forward to welcoming you back in the future. Kind regards Heather Billing Operations Manager, Claydon and Gatehouse Hotels. "Superb little hotel just off the A14"
I stayed here very briefly as I was travelling from the North West and making a drop off locally before continuing on to London. Nice and quiet despite proximity to A14. Lovely gardens surrounding the building lead to a clean bright reception. Night porter was lovely and friendly upon arrival and helped me get settled quickly despite a 3am arrival. Room was clean, airy and spacious enough, with a full bath in the en suite which was a nice touch. Breakfast was delicious and cooked to order, even took a request for fried bread! Would definitely recommend for business travellers or for nearby leisure. Not a bad little hotel staff very helpful and polite. Just off the A14 near Ipswich with a few local shops nearby. Used a few times. Everywhere looked clean, my twin room (115) was spotless and a huge bathroom. A served breakfast was huge and very tasty. Best for a while as I work away from home all the time and use plenty of different accommodation. WiFi good, parking okay. The staff are what make this hotel. From the cheery, upbeat welcome we received at reception when we checked in quite late, to the young woman who could not have been more helpful about the best places to park in Ipswich when we left, the staff are a real credit to this place. I agree with other reviewers that it's a little tired round the edges, the sausages tasted very strange at breakfast and the rooms are definitely on the small side, but it was very well located for our visit to Ipswich the next day. Good location not far from the A14. Not far from Ipswich. There are a couple of public houses that are near if you fancy a change of scenery. The food in the evening is very good, and the service is also of a high standard, Breakfast was also ok. Only small criticism was that the room was a bit on the cool side. The radiator was not on, and I am not sure if the air conditioner was working properly. Small issue that I am sure they will rectify. Noisy drain cover was the only thing that did disturb a nights sleep. Obviously this is beyond the control of the hotel. This is NOT a Country House Hotel! This is a motel with no facilities other than bedrooms and a public area which is Reception/Bar/Occasional seating, If the Head Chef is preparing your meal then it is excellent, if tardy, (ie. Book the Early 7pm sitting, or you will still be waiting at 8pm!) If you are relying on his understudy then I suggest you nip next door to the chippy! 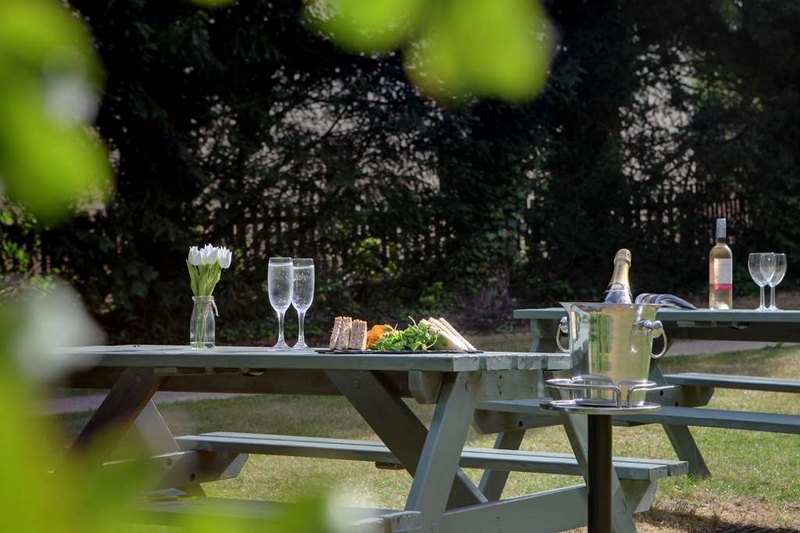 There is no tennis court and the gardens consist of a small lawned area with a couple of picnic tables! The hotel Directory offers you a bathrobe, but there aren't any! The so called 'Deluxe' rooms are just an average hotel room, the other rooms are tiny boxes. How Best Western have given their approval to this 'Hotel' is beyond me! Having said that, Tina, the Receptionist is great, as is the chambermaid and the Head Chef, pity the owners push them to the limits rather than employing more staff. Let's start with the positives-good pub nearby and the room was clean, negative points the hotel room was dark and small and was very tired. The floors outside the room creaked loudly when people walked past at night. The bed and pillows were very poor the worse hotel I've stayed at for a long time. The fire door outside the room banged shut at night. Only 3 of up for breakfast yet it seemed to take a long time to get breakfast. The kitchen door was always open near the stairs letting food smells fill the hotel. Given wifi code no wifi was available in the room. 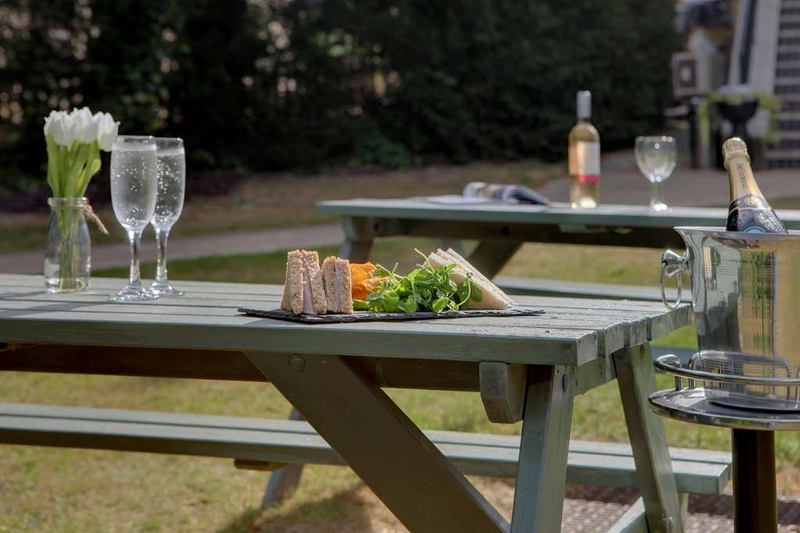 "Great location on out skirts of Ipwich"
Stayed here on business, great location as on outskirts of Ipswich, in the area of the hotel there is a chip shop next door and 2 pubs in the village plus local shop so ideal. Nice beer garden outside for the warm evenings. Room was small but did the trick. Breakfast was disappointing as they were busy and not able to cope with the amount of paying customers. We paid for Full Breakfast and only ended up having a drink and bacon sandwich as couldn't wait any longer. "Good value Hotel in convenient location"
We stayed one night on the way to a family party in Ipswich. The location was very convenient in a nice little village. Hotel staff were very welcoming, and the Hotel itself was very good value for the price. Breakfast very good, and overall accommodation perfectly nice.